There is a faint signal in the POSS2 blue data, suggesting OIII emission, but little in red. 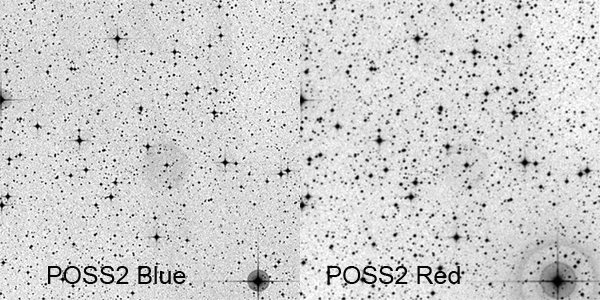 My image above is consistent with the POSS2 blue data showing a diameter of 2.2 arcminutes. No evidence of an outer halo can be seen in nearly 8 hours of OIII and H-a data. North is up and East toward the left in the above images. There appears to be some internal structure and brightened H-a enhanced regions at the rim toward the NE and SW in my image. I was able to find one technical article by Hua, Dopita and Martinis, "Detection of new emission structures around planetary nebulae", Astron. Astrophys. Suppl. Ser. 133, 361-380 (1998) where they state little has been measured on K2-7 since its discovery by Lubos Kohoutek in 1963. Two distance measurements were cited ranging from 4,000 to 8,300 light years. These disparate distance measurements lead to calculations of the ionized mass ranging from 0.04 to 3.6 solar masses according to Hua et al. These large uncertainties have yet to be reconciled. 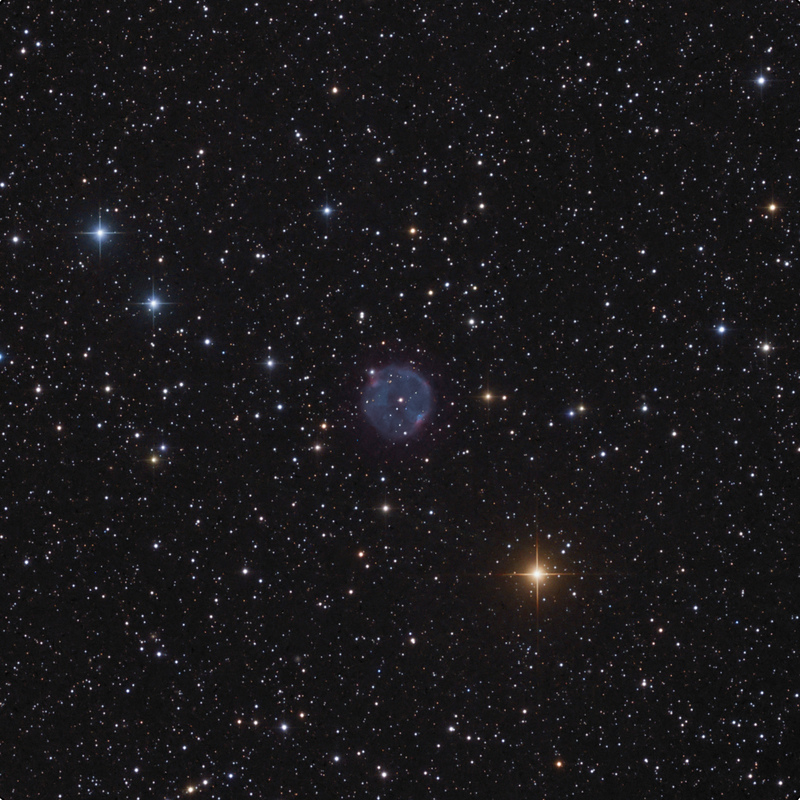 I wish to thank Sakib Rasool for suggesting this planetary nebula to image. I wonder if the Ha knots actually represent a polar outflow and maybe the central star is a binary? I like it when deep images are thought provoking!